The women are dying for attention since the guys have turned Paradise into a frat party bro down. In comes Adam and he's ready to date, inviting Raven to join him for margaritas at a local restaurant. Raven explains her high hopes coming to Paradise, unsure of her options of Ben Z and Adam. Meanwhile, Adam did initially express some interest in Kristina but she declined due to her connection with Dean. Problem is, Dean is being real cagey and it's frustrating Kristina. The Rose Ceremony is actually finally going to happen, but there's the cocktail party first for some last minute connecting/campaigning. Raven's totally torn between dog lover Ben and Adam, who gets a pre-Rose Ceremony kiss. Sweaty Robbie decides to pursue Amanda, but she declines his invitation for a kiss. 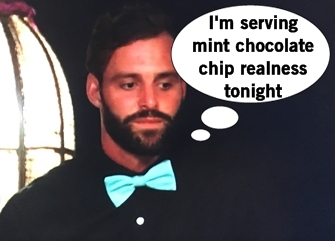 Alex thought he was a shoo-in for Amanda's rose before, but not desperately seeking out someone to give him a rose. Lacey was really down at the beginning of the episode, but a smooch sesh with Diggy seems to turn her spirits around. While their road was a little rocky, it sees Jasmine and Matt are back on track. Dean requests from Kristina that they slow down, allowing her to make a Rose Ceremony decision and pursue more options. Chris Harrison comes out to remind everyone the goal of Bachelor in Paradise is love and no one audibly laughs in his face. 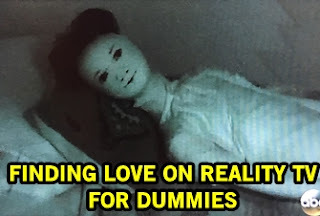 The women are handing out the roses and here's the breakdown: Taylor/Derek, Jasmine/Matt, Raven/Adam, Alexis/Jack Stone, Lacey/Diggy, Danielle/Ben, Kristina/Dean, Amanda/Robbie. Leaving Paradise are Iggy, Alex, St. Nick, and Vinny. Danielle L aka D-Lo is the first new girl to enter the scene and the guys are all like ow-oooooo-ga! 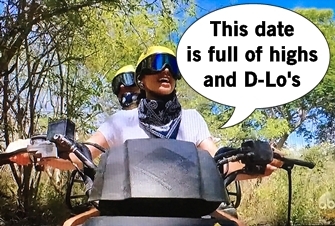 Kristina's simmers with rage when Dean accepts D-Lo's date invitation to ride ATVs while wearing extremely ripped jeans. Kristina wonders where the Dean who came with her to Kentucky went. Well currently, kissing D-Lo at a scenic overlook. Dean and Kristina talk about his date, admitting they kissed. But both admit they missed each other during the day, glad they can be open and honest with each other. Just when things seem peachy keen with them, Dean gets up and surprises D-Lo a half birthday cake. Aw hell no. Kristina walks off the beach to her bed in tears.